Ladies and gentleman, the days of sweaters, beanies and boots is finally over! We made it out alive and we will be rewarded for our patience with…patios! Windsor is chalked full of beautiful and unique patios. Whether you’re looking for a casual hot spot to grab a beer, or a more private and exclusive location to dine outdoors while you soak up the sun, there are options for every mood. 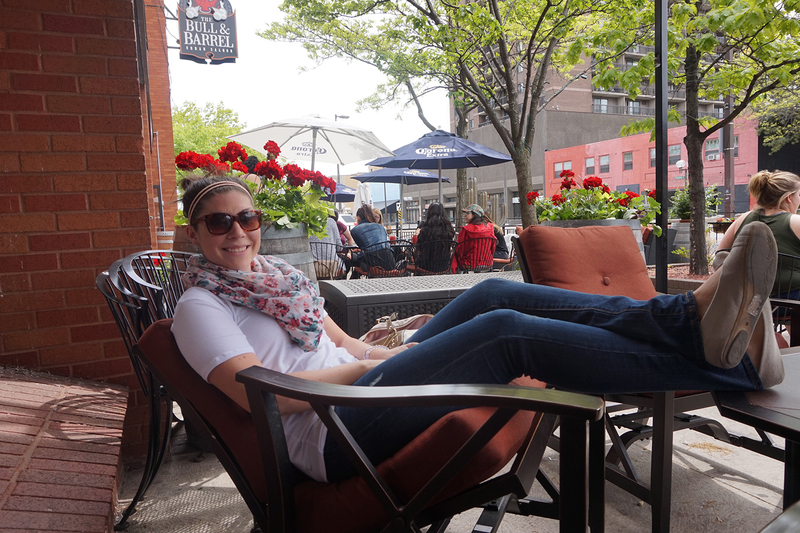 Kickin’ back and relaxin’ on the Bull & Barrel patio. The Bull and Barrel is the biggest and baddest patio in the city. Their Wednesday college and university nights draw crowds by the hundreds so if you’re looking for a patio party, this bar is definitely the place to be. They’ve also revamped the entire restaurant and menu but have no fear, they will still be serving up their signature specials like Corona buckets and fajita Fridays. Brew‘s patio is the perfect spot to unwind after work with a few pints of their popular craft beer. The intimate rooftop patio plays host to a packed crowd, especially for their unfiltered Friday’s, where $10 gets you a cup and unlimited beer from 7 –9 pm. Mix that with live music, Cards Against Humanity and adult Jenga and you have yourself a go to spot for summer 16. Barrel House has one of Sandwich Town’s finest patios. Barrel House is a no brainer when you’re feeling like a quaint, backyard patio vibe. 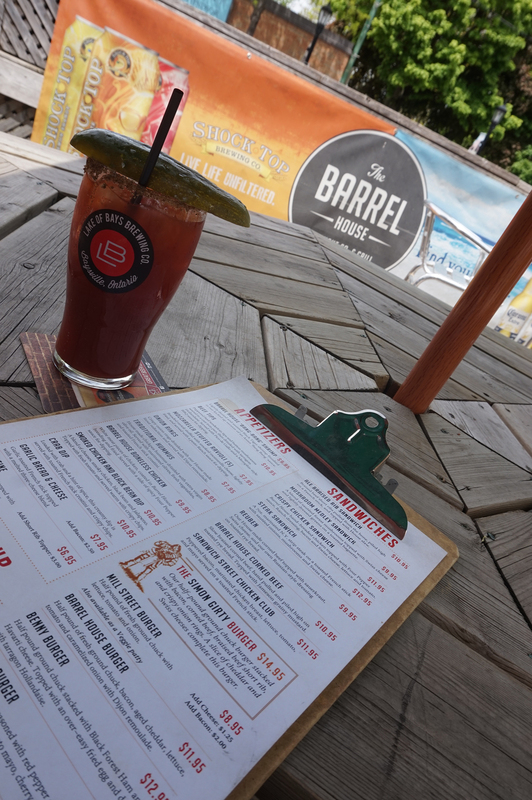 With one of the biggest patios on Sandwich St., Barrel House provides guests with live music, Ontario craft beers and specialty lunch and dinner items every day, including one of Windsor’s must-try burgers of 2016. Lorelei’s Bistro has a patio that’s oh so urban. Lorelei’s Bistro is definitely a hidden gem on Wyandotte St. E. and by hidden I mean behind the building lies paradise. They’ve transformed their patio into a lush tropical courtyard, that can be enjoyed while sipping on one of their classic bistro cocktails. Lorelei’s has recently created a brand new menu that features fresh Mediterranean, French and seafood dishes. They also have live entertainment every Thursday and Friday, which makes the experience even more special. 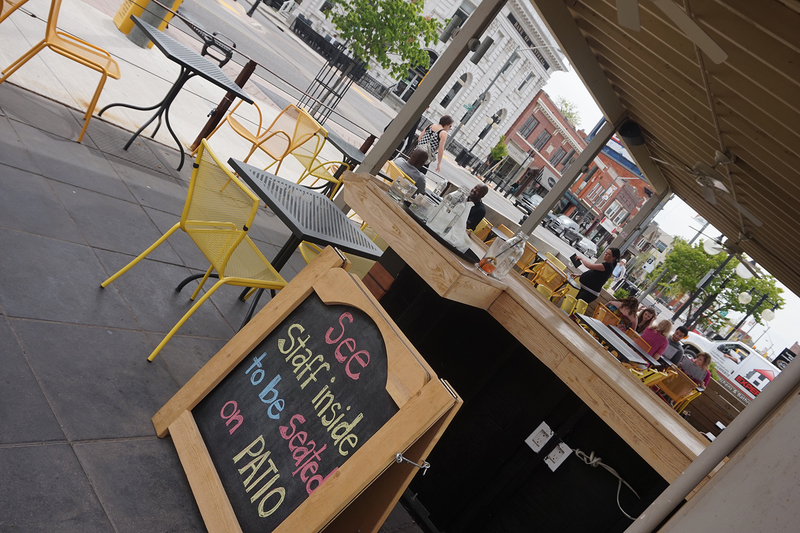 The Willistead has another of Walkerville’s great patios. 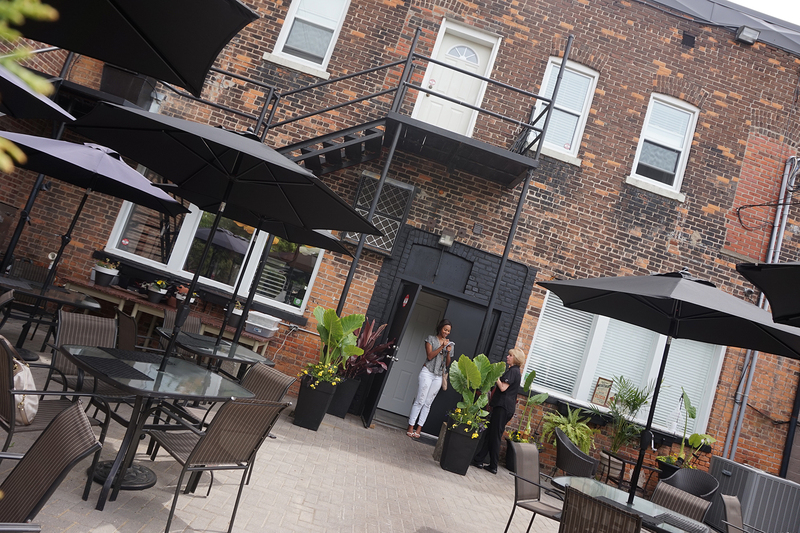 The Willistead patio in the heart of Walkerville is the perfect spot to see all the action in Walkerville from the comfort of your chair (and with a drink in hand). The beautiful front patio is jam packed during the summer months, especially when the night market starts. Refreshing and delicious signature cocktails are their specialty, with popular summer favourites like their cucumber Collins or the blueberry smash. Who doesn’t love Italian cuisine? But Italian on a patio is even better! 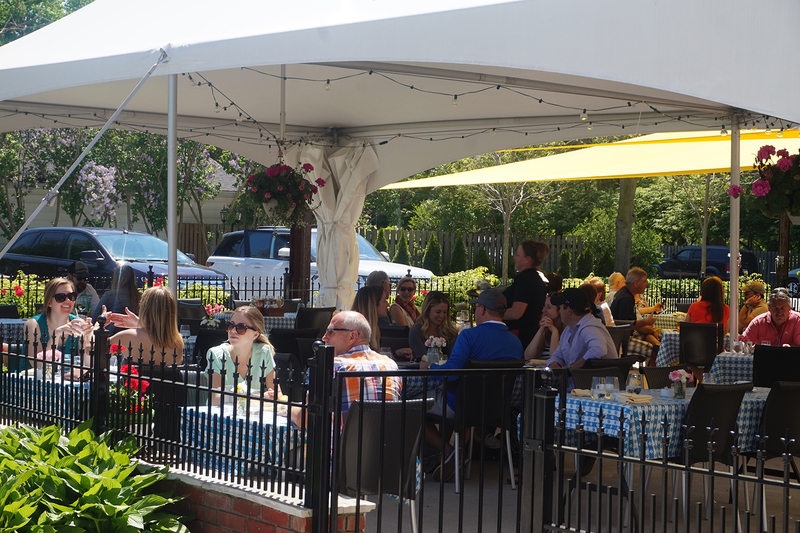 La Zingara‘s front patio is the perfect size for an intimate lunch or dinner on Erie St. They have specials all summer long, which include their popular brick oven pizza and a bottle of wine for $39. If you look quickly you might miss Vesta Pizzeria‘s adorable and intimate patio that’s nestled on the side of the building. This is definitely the perfect spot for a date night. Share a bottle of wine, an antipasto platter and a few apps while you watch the sun go down. This one is for all you gelato fans out there. Paglione Estate Winery has a lovely little patio overlooking the vineyard and snuggled right up against it is, you guessed it, a gelato hut. The flavours are ever changing as they make fresh, homemade batches each and every week. A glass of wine in one hand and a gelato in the other. Did we mention they also have an outdoor pizza oven? Now that’s a good life. 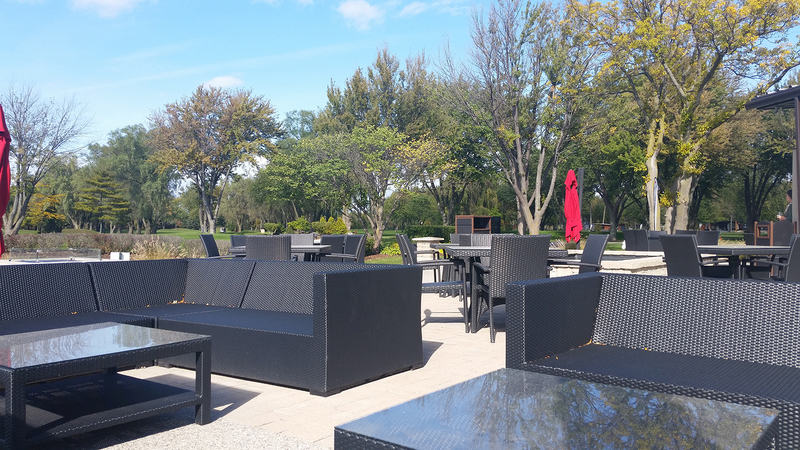 Parkside Grille patio overlooks the golf course. 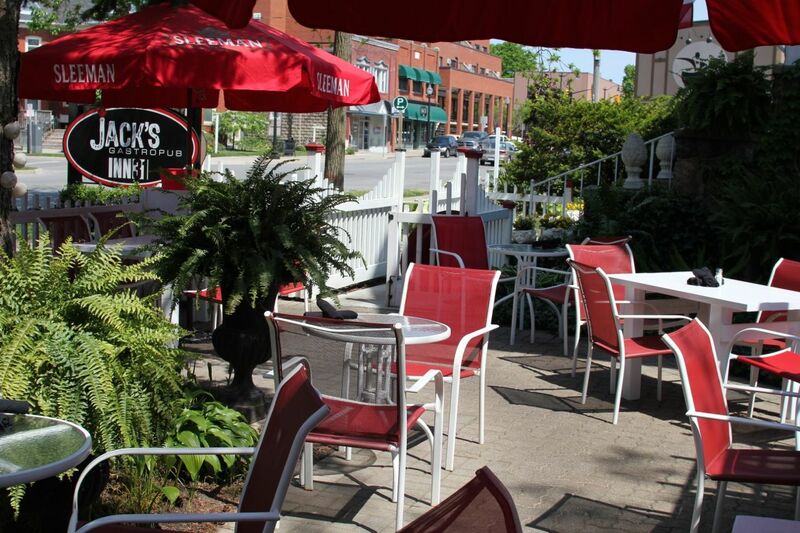 Parkside Grille‘s patio is definitely one that’s worth the drive to Belle River! You and your friends won’t be fighting for space on the their 3000 sq foot patio overlooking Rochester Golf Course. This patio is more than just a patio. It has the look and feel of a modern and elegant outdoor lounge, which includes fireplaces, televisions and a fountain pool. The Johnny Shotz patio is an oldie but a goodie and one that is a must this summer. You have your choice of over 30 different brews, and can enjoy delicious sports bar style grub under the sun. Their memorable specials include 2 for 1 wing Mondays, or craft beer and a burger every Tuesday. Live music also begins May 29th all summer long on the patio. Jack’s is a Kingsville icon. Jack’s front and back patios are hot spots to visit this summer. They have their very own Blackjack Gastrovan on the back patio (how cool is that? ), and guests can enjoy delicious and unique food items from the gastro van every Monday through Thursday. They even have themed nights like Taco Tuesdays and backyard BBQ Thursday’s, where they pair these delicacies with delicious signature drinks. Jack’s also brews their own beer in house, so this is the place to be for all the craft beer lovers out there. If you’re looking for a patio that has history and culture than Mettawas Station has to be on your must try list. Situated on the Greenway Trail, this little grill has transformed the over 100 year old Kingsville Railway Station into a rustic outdoor experience. The wood and stone patio provides a cozy atmosphere for diners to take in the sights, as well as enjoy delicious Mediterranean and Italian cuisine. With delicious dinner and dessert specials each week, this outdoor patio is sure to please every guests style. Enjoying the breeze through the trees at Cooper’s Hawk Vineyard…and a bottle of wine, of course! If you’re winery hopping this summer, than make sure that Cooper’s Hawk Vineyard is one of your stops. Their patio has a very welcoming and laid back atmosphere, with picnic tables on the grass and a jungle gym so parents can relax with their wine sans kiddies. Their new restaurant, The Vines, provides a full dining experience where guests can sample gourmet food and award winning wine, while enjoying the breathtaking views of the vineyard. Good through summer and winter, Oxley Estate Winery has a fireplace on their patio. Oxley Estate Winery‘s patio combines both elegance and a laid back Muskoka cottage type of feeling that draws you in and keeps you all day long. 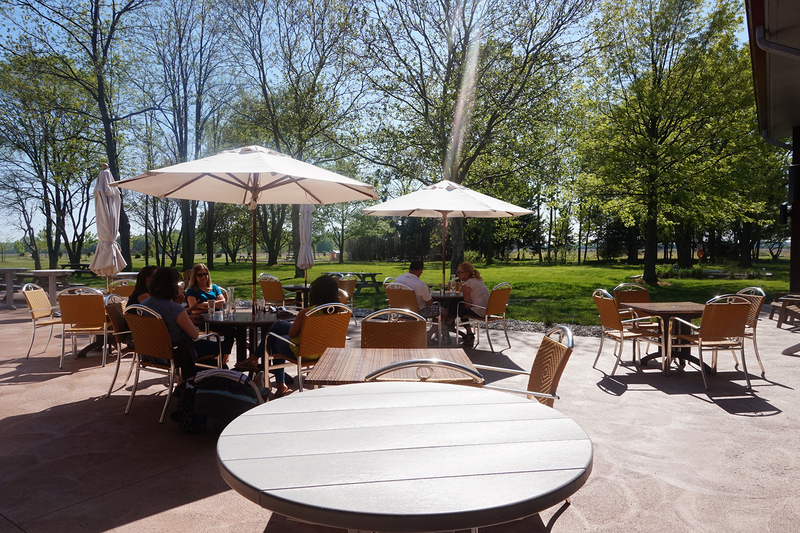 Surrounded by grapevines and greenery, Oxley offers a patio for guests with any preference. Choose between large wooden Muskoka chairs and tables in the sun or sit under their large covered side patio in the shade with a cool breeze. Enjoy live music as you sample some of Ontario’s best wines and indulge on cheese and charcuterie platters. When the sun begins to set you’ll be asking if they provide tents to camp out and do it all again the next day!